Last Thursday was my birthday and I was lucky enough to have the day off from work. I decided that, since I am a self-proclaimed champagne addict, I wanted to drink my champagne and eat it too. I also might be in denial of my participation in adulthood (pretty sure adults don't make deserts with bubbly) but that's besides the point. Of course, I went to good ol' Pinterest for inspiration and found Beth's recipe. It looked so simple that even a remedial baker like myself could attempt it. 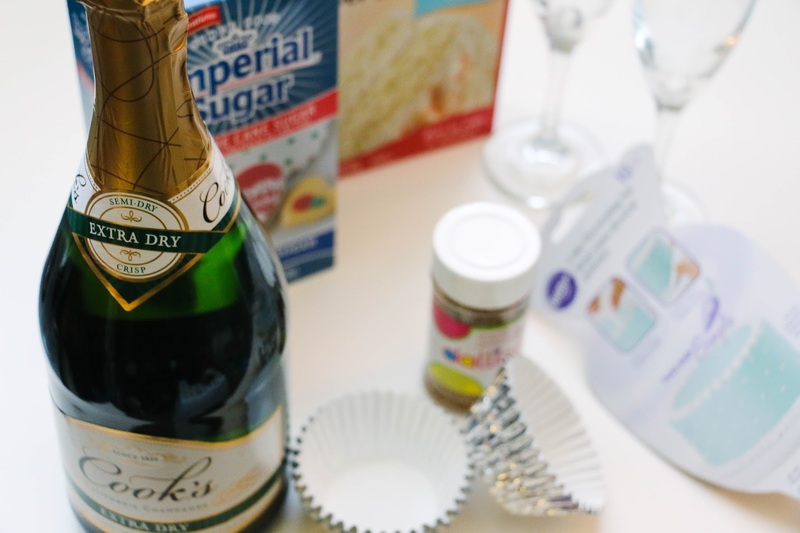 Pro-tip: 1 bottle is the perfect amount for 18 cupcakes and 2 mimosas! You're going to want to preheat the oven to how ever high your cake mix requests (I used a Betty Crocker cake mix so I preheated my oven to 325°F.) 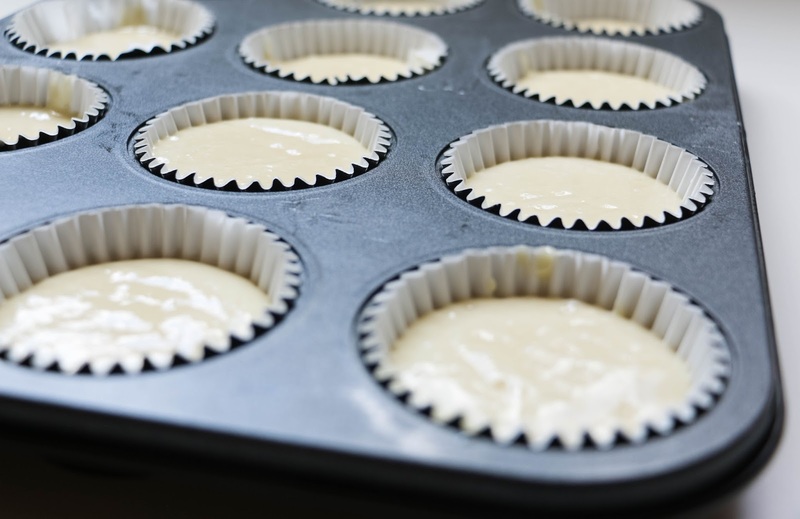 While the oven was preheating, I lined a muffin tin with silver cupcake liners and began preparing the cake mix. 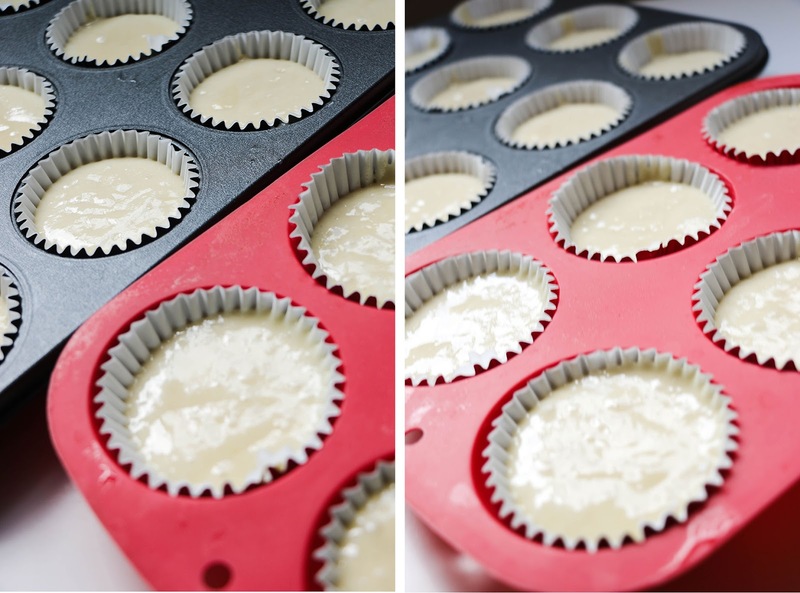 The next step is to bake your cupcakes! I took mine out after 18 minutes and tested them by sticking a fork in them (I didn't have any toothpicks.) While I waited for my cupcakes to cool, I started making the frosting. I'm not gonna lie, the frosting was a major struggle. I don't have a mixer, let alone an electric one, so I made the buttercream frosting with a wooden spoon and a fork. The end result worked out fine, but I definitely would have appreciated an electric mixer (and recommend using one.) Honestly, I feel like this cupcake journey was hashtag I need to buy more kitchen ware. Next, I placed the frosting in a piping bag (fit with a 1M piping tip.) 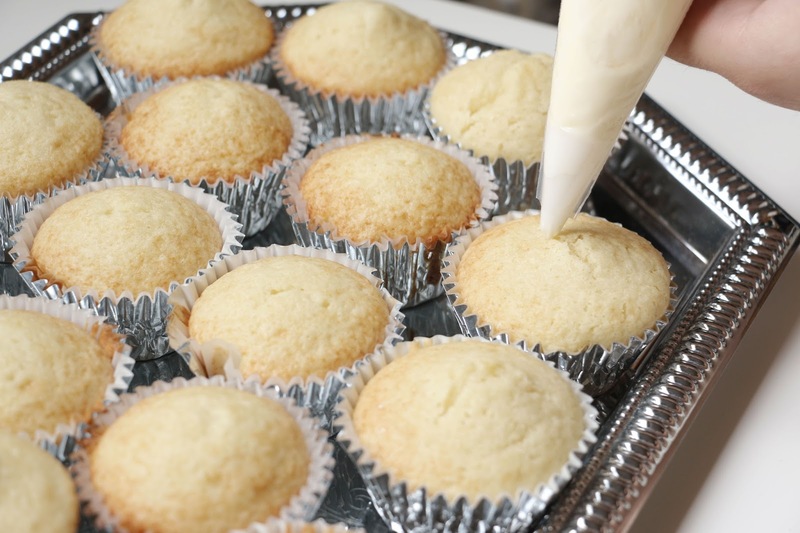 I pushed the buttercream frosting down into the bag and piped the frosting onto the cupcakes. 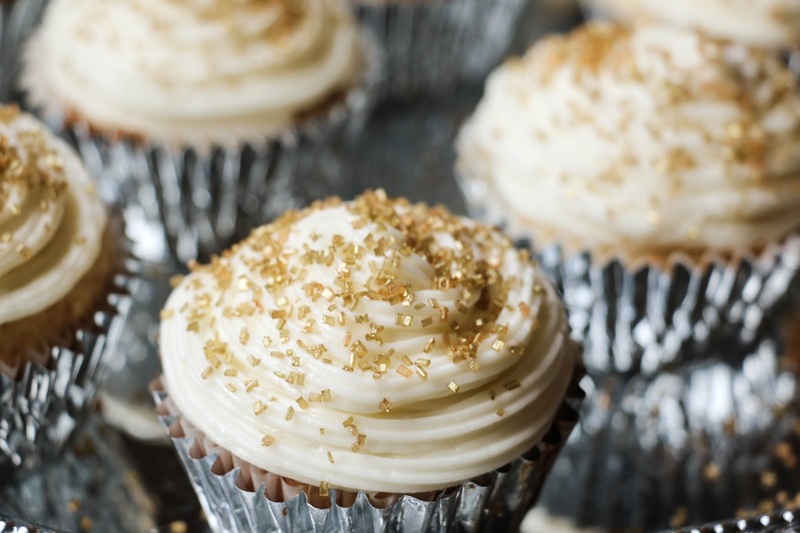 I'm not really a big baker and I have definitely never piped frosting (if that's even the right way to say that.) Needless to say, the frosting as a whole was a process. I started in the center of the cupcake, swirling out and swirling back in. After multiple tries I was sufficiently impressed with my newly acquired cupcake skills. These actually ended up being pretty delicious and I don't know if I would try this recipe again, but it did make me more confident in trying to bake new creations.